This fine-bladed variety was formulated specifically to endure the harsh weather of northern climates, and as such, is a real winter warrior! Even the harshest cold can't keep this grass down. It's a blend of perennial grasses like ryegrass, dwarf bluegrass (derived from a variety discovered in Iceland), and low-growing fescue. 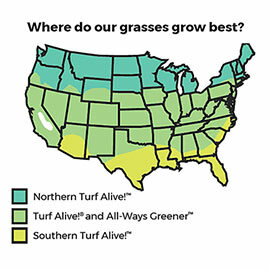 When planted in well-drained soil, Northern Turf Alive! 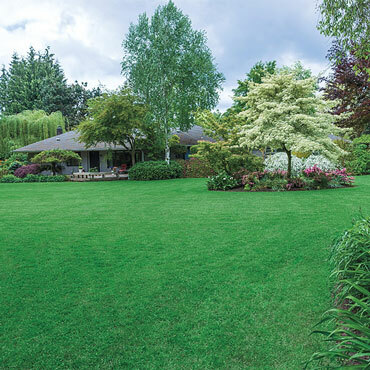 grass adapts well to shade or sun, and withstands heavy foot traffic. It holds up well to diseases, and with its deep roots, will easily survive heat and drought. As a bonus, its slow growth rate means less mowing work for you. Seed lawns at 4 lbs per 1,000 sq ft.
Sun/Shade: Grows well in sun or shade.